Did you just arrive in Korea? 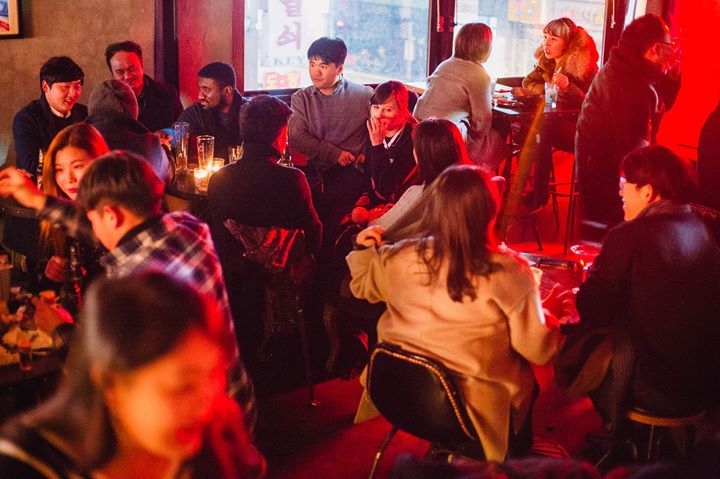 Are you having difficulty in making friends in Korea; as a visitor, exchange student or an expat? Then, Welcome to the Koreaners family! Koreaners is how we describe people that love Korea, regarless of where they come from. It’s kinda like Californian, ut without having to be originally from California. Or Americaner for people that enjoy visiting America or Mexicaner, or Canadianer. To put it simple, if you love Korea you are a Koreaner. It is the reason why we have created the “Koreaners International Friends Meetup” for both Koreans and international friends. We want to help you to find yourself in Korea, meet new people and make new friends. And this is an official invitation to join this fun loving meetup group today. 1. You'll have to enter the venue from 7:00pm. There will be international family members(30 staff) who will greet you. There is no entry fees to participate in this meetup. You are free to buy any food or drink by yourself. You do not necessarily have to buy though. 2. You can sit around anywhere, talk and mingle with new people. *There will be famous DJs playing music as well. 3. From 8:30 pm, there will be free speech time, talking about individual or weird stories experiences in Korea. 4. In addition, you will receive Free 'The Korea Guide' e-books for your stable stay in Korea.